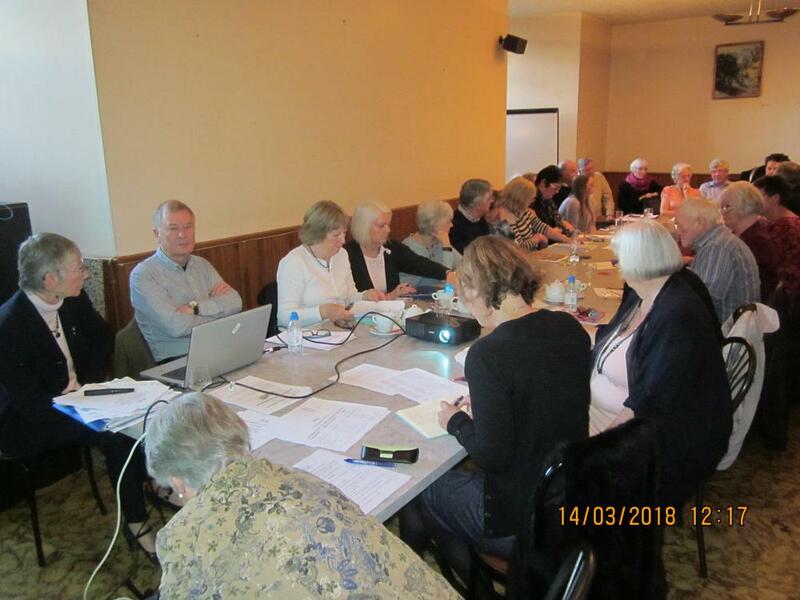 Cancer Support France National AGM was held on 14th March, hosted in Cahors by Dordogne Est & Lot. The meeting was extremely well attended, as you can see from the photo, with representatives coming from CSF Associations far and wide. It was a packed day including the tradional agreement to minutes and to financial reports, covering the Presidents address (an analysis of the aims and objectives set last year, the progress on these and those for 2018, Penny having to deal with a number of unplanned interruptions which kept us all amused - think of Mrs Overall and her tea tray and you wont be far off) and then after a full lunch, many of the attendees managed to stay awake and discuss the up coming National fundraising event, Cycle for Life. For a "proper" write up of the full event - then have a look at Touchlines, due out next month.